That' what I call a smashing clasp! 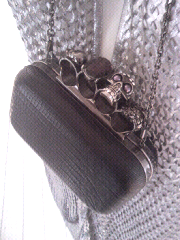 Brass knuckle decorated with skulls and stones. By Olivia Hainaut , 165€.